WKWW Architects has three Principals: Mike Berry, Kent Rayfield, and Gray Hudson. Mike received a Bachelor of Science in Architecture and Master of Architecture degrees from the University of Virginia in Charlottesville. He is a registered Architect in North Carolina, South Carolina and Virginia. Mike is a member of the American Institute of Architects, Interfaith Forum on Religion, Art & Architecture as well as a certificate holder from the National Council of Architectural Registration Boards. Kent received a Bachelor of Environmental Design in Architecture from North Carolina State University and a Bachelor of Architecture from the University of North Carolina at Charlotte. He is a registered Architect in North Carolina and South Carolina. Kent is a member of the American Institute of Architects as well as a certificate holder from the National Council of Architectural Registration Boards. Gray received a Bachelor of Arts and a Bachelor of Architecture from the University of North Carolina at Charlotte. He is a registered Architect in North Carolina, South Carolina and Florida. Gray is a member of the American Institute of Architects and US Green Building Council, a LEED Accredited Professional, as well as a certificate holder from the National Council of Architectural Registration Boards. WKWW Architects was established in 1956 to design church architecture. 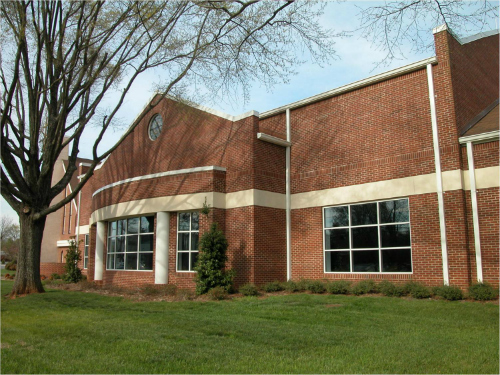 The firm has completed over 500 religious commissions in North Carolina, South Carolina, and Virginia. We are a full service design firm providing Programming, Master Planning, and Architectural Design including the graphics needed to present your project to church members. We design all the building types found on a church campus including worship, fellowship, education, recreation, administration, and youth spaces. Projects may been designed in traditional, contemporary, or transitional styles of architecture. We work with building committees to help them realize the vision they have for their church and building project. Our office is a size that allows each Principal to be thoroughly involved in each of their projects from meeting directly with the church committee and members during Programming and Master Planning, through the design phases, and throughout the administration of construction.